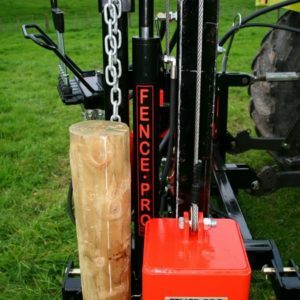 The FENCEPRO VPD500 is a digger mounted pile driver designed and manufactured especially for pile driving. 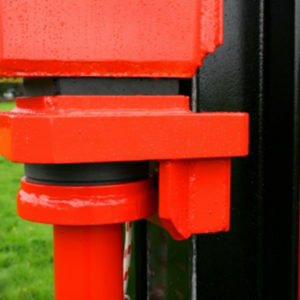 The standard VPD500 had a 5m mast and a 500kg block. 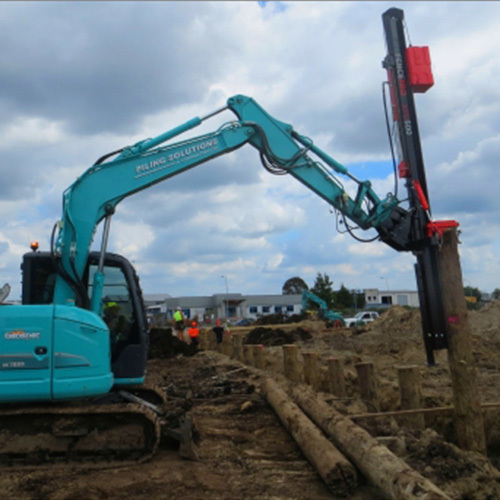 The VPD500 is shown in the photo above on a 7.5 tonne Kobelco. 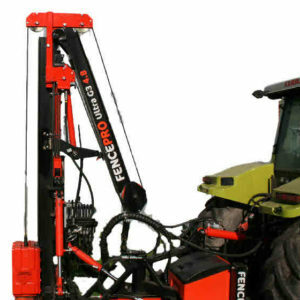 Also available is a sub-frame which connects an excavator to a standard three point linkage so a normal post driver can be mounted to a digger. 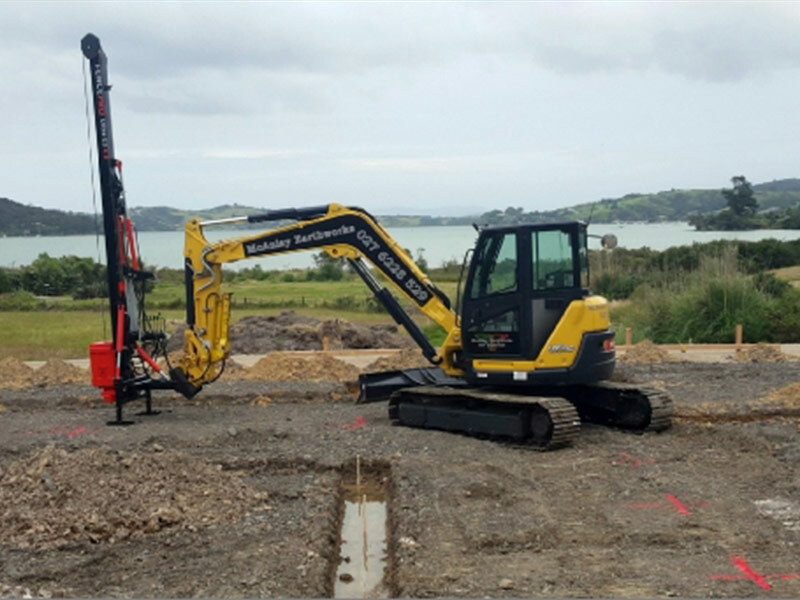 The post driver would still be operated at the control bank, rather than by a the digger driver like a purpose built pile driver. 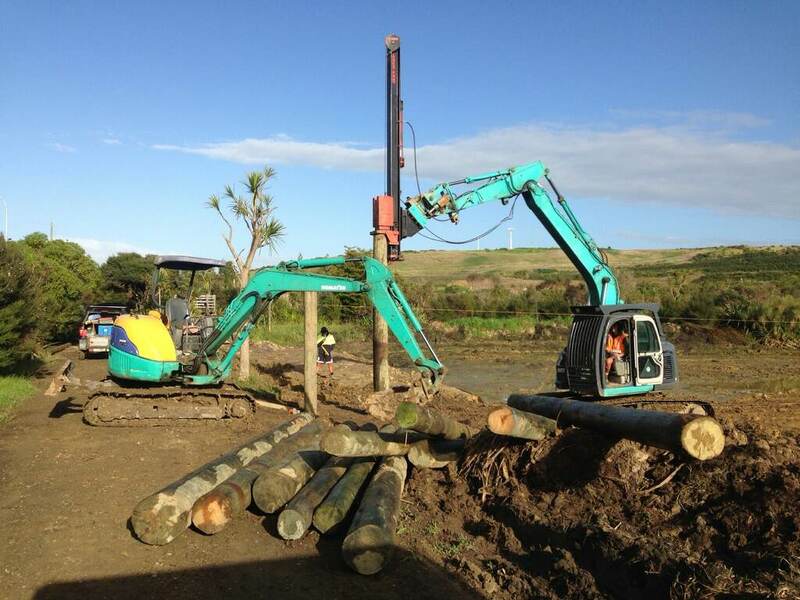 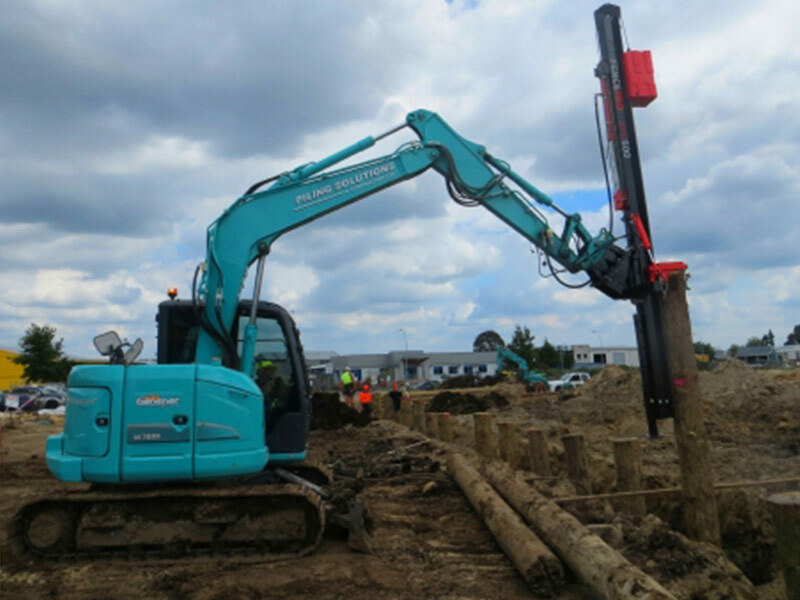 Fencepro VPD5500 pile driver on 7.5 tonne Kobelco. 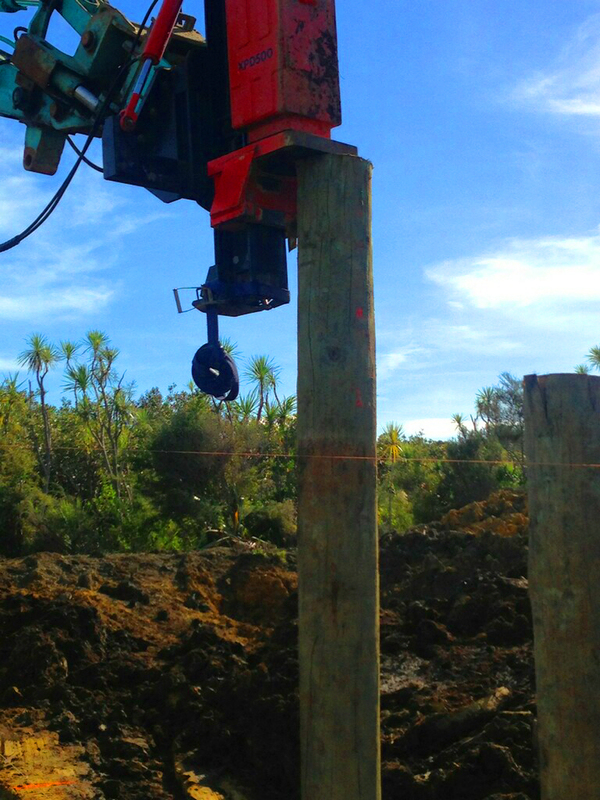 Digger mounted Ultra G3 post driver with 400kg monkey.